February 2014 | GIS and Remote Sensing Tools, Tips and more ..
We will miss the "father of GIS"
Tomlinson tells the story of how this came to be. In the early 1960s he was working as a photo interpreter for Spartan Air Services in Canada. They had a contract to identify the best location for a tree plantation in Kenya. They turned to their young geographer Tomlinson and asked him to develop a methodology. He tried various manual methods for overlaying various environmental, cultural, and economic variables, but all were too costly. He turned to computers and found the solution. Subsequently he sold this approach to the Canada Land Inventory that had the responsibility of using data to assist the government in its land use planning activities. His GIS approach reduced the task from three years and eight million Canadian dollars to several weeks and two million dollars. He went on to serve the community in many ways. He chaired the International Geographical Union’s GIS Commission for 12 years, where he pioneered the concepts of worldwide geographical data availability. He is a past president of the Canadian Association of Geographers a recipient of its rare Canadian Award for Service to the Profession. 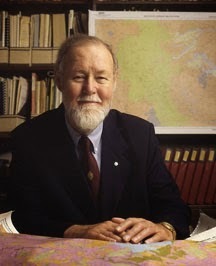 Other awards followed including the James R. Anderson Medal of Honor for Applied Geography (1995) and the Robert T. Aangeenbrug Distinguished Career Award (2005) from the American Association of Geographers. He was the first recipient of the Aangeenbrug award and also the first recipient of ESRI’s Lifetime Achievement Award (1997). National Geographic gave him its rare Alexander Graham Bell Award for exceptional contributions to geographic research (2010). He is an Honorary Fellow of the Royal Geographical Society and the recipient of multiple honorary doctorates – in addition to his own PhD from University College London.